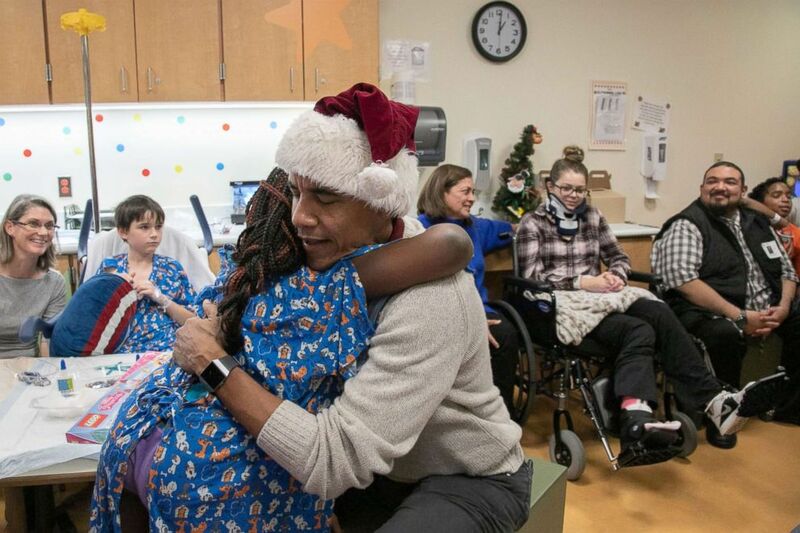 Clad in a Santa hat and carrying a bag full of toys over his shoulder, former President Barack Obama visited children and their families today at the Children's National Hospital in Washington, D.C., to spread some holiday cheer. "Ho Ho Ho ... Merry Christmas!" Obama said as he entered, shocking hospital staff and patients. 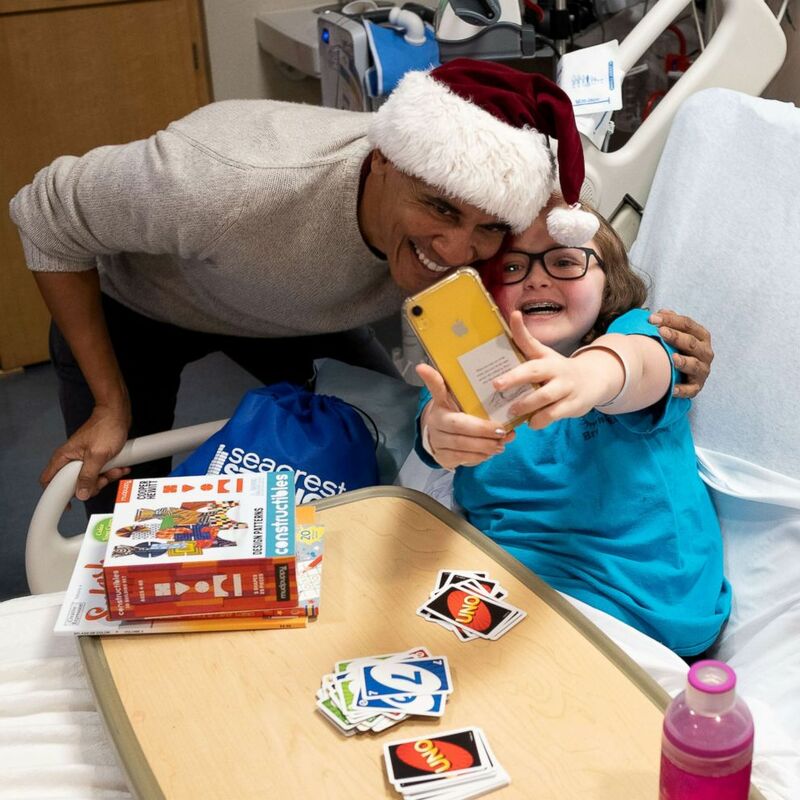 Former President Barack Obama visited children and families at the Children's National hospital in Washington, D.C., Dec. 19, 2018, to drop off some Christmas gifts. "My reindeer they were stuck in some snow," he added. "But I just wanted to make sure that I made the trip and I had a chance to see all of you guys." 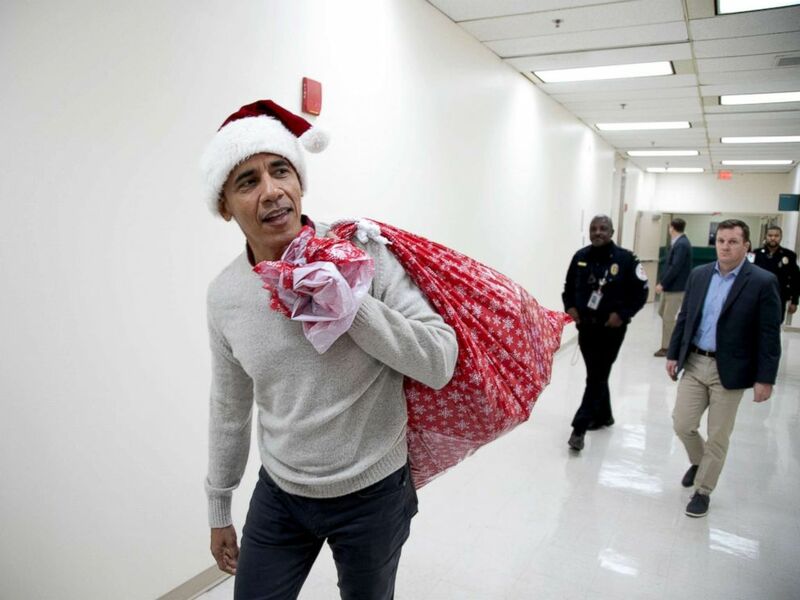 Obama greeted patients in their rooms and in some of the facilities' playrooms, handing out holiday presents that he and his staff had collected, according to a statement from his office. "Wherever the family is, wherever the people you love are, that's the whole thing," he told one patient he visited, who was spending the holidays in the hospital. 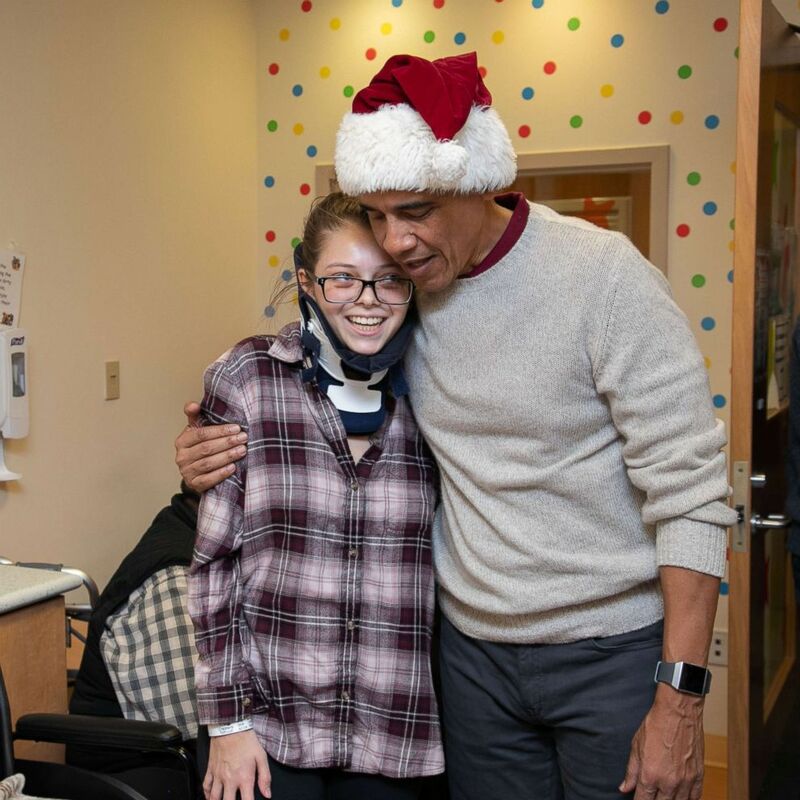 Obama also visited with family members and siblings of patients who are spending Christmastime at Children's National. Michelle Obama visited the same hospital annually during her time as first lady. Barack Obama visited the hospital while he was president in 2014.